We are going to break down the process into 4 Steps. Take notes, chickie, and you will be off to a great start. Now let's go get you a new job. I couldn't help myself! I love Zohan. But this scene makes me think of where you are right now. Dreaming of landing your first beauty job. In any language, you gotta relate. Before you put on the black pants and grab a pen to hit the pavement you should think ahead about what to expect. The last thing you want is to be caught unprepared! It's not enough to look nice and have your own pen to fill out applications, not if you are searching for the best salon that is suitable for YOU. Can you imagine how disappointing it would be to find THE salon where you want desperately to do your apprenticeship only to be denied because you weren't properly prepared? You are starting your Beauty Career. I want you to get that job. It's time to start your beauty career and I'm so excited for you to start making money. I can't explain the pure joy of your pockets filling up with cash tips. Not to mention you are making a difference in someone's life by giving them a prettier image. Ok, ok, let's get started. Get a cheap spiral notebook: You will need it to ask for manager's names and the best time to call back. Your notebook should fit easily in your bag. You will need to make notes for yourself as well. Got it? Good, we are about to use it. While you are at it, buy a package of Thank You cards, too. You will be using them shortly. Know what managers hire: Won't you be way ahead if you already know what they want in a new team member? Pick the salons that are your first choice: Use your notebook for planning. Write out all of the salons you are interested in. Go after the biggest fish first and work your way down to the salons that are your second choice. Hopefully you will get lucky and be hired at your dream salon. You gotta try! Now research each salon: Google each one and get as much information as you can like their hours of operation, an email address, their phone number, the services they offer, etc. You will be a step ahead if you get an interview. Employers like it a lot when an applicant takes the time the research the business. It shows you are willing to go the extra mile whether you are starting a business career or a beauty career. Make a list of all contacts that could help you: You probably have more contacts than you realize. Start with your school administrator. She/he will know plenty of salon owners. Ask her for her advice and if she could help you get any interviews. Does your mother know a salon owner or does a relative? Use these contacts to get your foot in the door for an interview. Prepare a hair stylist resume, a hair stylist cover letter, and a reference page: You will definitely need the reference page. You will be filling out applications and you want to have all of your references within easy reach. Digging for phone numbers and addresses doesn't make you look prepared. Strike one. You will need a cover letter in case you don't get the opportunity to meet the manager that day. Find a male and a female model: Make sure to have a model ready for a technical interview. 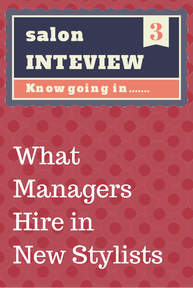 A technical interview is a 2nd interview that demonstrates your level of expertise. It gives the manager a clear idea on where you are in skill development. You won't know if you will need a male or female yet so have one of each in a state of readiness. And think about who to choose carefully! Don't get a male who gets a buzz and don't get a female that is sloppy. Your model will unconsciously be a reflection on you. However, now is a good time to throw a personal hacking technique in! You want to shine in the technical interview so choose your models that you will have an easy time with. If they have crazy, troublesome hair don't use them. Make it easy on yourself. Create your own way to stand out: I could talk about this for hours. But let me give you a quick example. A friend was applying for a spirits sales job with no outside sales experience. It was a major corporation and she knew she had little chance of landing an interview, in spite of the fact she would be awesome at the job. She did some research and found the name of the Human Resources V.P. She got a lovely blue (their company colors) wine decanter at Hobby Lobby for $5 and filled it with little pieces of paper on which were written her strengths; outgoing personality, time management, organizational abilities, computer skills, etc. She included a letter to him addressing how her creative sales ability would be an asset to their company. And she FedExed the package to him so he would have to sign for it! Unfortunately, the position had just been filled, but he was so impressed with her tactic that he assured her he would keep her in mind for the next available position in sales. You want to find a way to stand out from other applicants. Most stylists are walking in, filling out an application and walking out. Their applications may even wind up in a pile of paperwork not even seen by the manager. If you catch a salon during a very busy time you need to have a way that makes them remember you when you call back. What can you come up with? Keep it fun while maintaining your professionalism. Let your unique personality shine through and blind them of all other applicants. 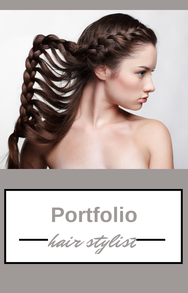 Have a portfolio available, preferably on an Ipad or similar device: Hopefully you have been working on this. If you choose to start your beauty career at a franchise salon this is not very important. Most won't need to see it but it may still be to your advantage to have it as it shows your talent and initiative. Have a few professional outfits picked out for interviewing: Job hunting to begin your beauty career may take some time and you will likely be going to a salon more than once. You don't want to be seen in the same outfit twice at the same salon. And remember how important it is to tailor your outfit to the salon you are applying to work. If it's a midtown type funky salon you can afford some flexibility in your look. But if you are trying to get your foot in the door at La Bella Foo Foo Salon you need the neat, professional hair stylist look. Black outfit, nice heels, classy jewelry, matching bag, beautiful hair and day makeup. Review Interviewing Body Language: You need to know what your body is saying while your mouth is talking. Your body tells the truth a lot more often than your mouth does. You could be saying, "Yes, I'm a team player" while your body language is screaming "It's all about ME ME ME!!" 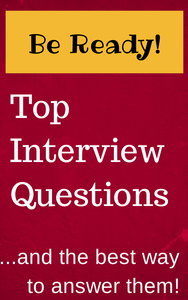 Review the top interviewing questions: It stinks to get an interview question you weren't expecting and don't have an answer to! "Why do you want to work for us?" "I don't know, because it's cool in here." Strike Two. Practice your body language and your answers to the top interview questions: Practice them and you won't be so nervous going into an interview. You will be conscious of what to expect and you will be prepared. This will definitely lower your stress level and make your interview go more smoothly. Prepare questions YOU would like to ask a hiring manager: They very well may ask you, "Do you have any questions for me?" You need to prepare a couple ahead of time to make you appear more involved with the interview. Also this shows a manager you are comfortable with a 2 sided conversation, which is part of a cosmetologist job. But it will also reveal where your motivation is! Don't ask a question like, "How much money will I make?" or "How many sick days do I get a year?" These are bad questions because it tells a manager right off the bat you will be a problem. Your questions instead should be about opportunities available like possible advancement or continuing education. 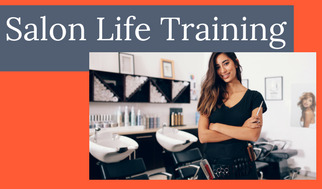 You want to show that you are concerned about making the most of your career, self improvement, and anything else that will contribute to the bottom line of the salon. They are looking for an asset not a liability. Carry a bag/purse that is large enough for spiral notebook, resume and Ipad. Hopefully, you will have one to match your outfit. Black is always a good choice. Have the resume, cover letters and references in a folder so they won't get bent. Be dressed as a professional hair stylist!!! Make sure to have 2 ink pens, preferably in black ink. Schedule your job hunting so that you don't hit the salon at their peak service times. Map out your route for efficiency. Be prepared to wait on a manager. When possible you want to speak directly to her and personally hand her your resume. If she is with a client ask the receptionist if it is ok for you to wait until she is finished to speak to her. You want her to see your face, feel your handshake, and sense your dynamic personality. You want to leave an impression! If all goes well you can get an interview scheduled. Mentally prepare to do what it takes. Job hunting is a full time job. Set your mind that you will spend the day out making contacts, filling out applications and meeting managers. Walking in the Salon Door. Awesome, we are really getting somewhere, aren't we?! You are hanging in there. Stay with me, folks. We are going to get your beauty career started very soon. Now that we have everything organized and mapped out, let's talk about actually walking into the Salon ready to apply for a position. 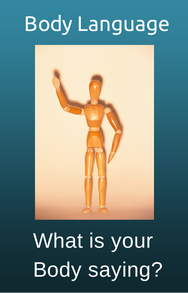 As we reviewed in Body Language, you want your body to tell your story. And your story is not of a scared new cosmetology school graduate looking for a job. Your story is of a confident, licensed professional hair stylist seeking the best opportunity to begin her beauty career and help grow a salon! You have to admit that reading that actually pulls your head up a little, doesn't it? Do the Power Pose for 2 minutes before leaving home. Before getting out of your car do it again mentally. Breathe in the confidence, breathe out any doubt about yourself. For the Power Pose refresher watch the video below. It's only 5 minutes and worth every second. This alone could help you win the chair. Your Beauty Career Power Pose! Before leaving your car also double check that you have 2 ink pens, notebook, Ipad or smartphone, resumes, cover letters and references. Take a peak in your rear view mirror and check your teeth, lipstick, hair and eyes. If you are shiney, apply face powder. Your look is your first impression and you are applying for a beauty career in a Salon, not Subway. Walk into the Salon "ON." Your every move is up for critique by Salon employees and management. From the first step in, stylists recognize their own! They are already working out if they like you. Make it easy by looking like them and making eye contact with a smile. It is so important that you tailor your look to match the Salon. You want them to "see" you as easily becoming part of the team. Some of this sounds silly but everything we do has a purpose, to make you look like the best candidate for an opening in a Salon. Go to the front desk and ask if the manager is available. If at all possible you want to put your resume in HER hands, rather than a receptionist. This way you have made a positive and professional impression on the staff. Believe me when I tell you that they will share that information. Stylists love to talk! If you go into a franchise salon I suggest you apply online BEFORE going for the face to face. Apply online, then go to the salon. You will probably need to fill out an application there too. Same goes with asking for the manager. Do the same as above. If the Manager is there: Ask the desk person if it is alright if you wait until she is available. If the manager has any sense she will want to meet you. I believe in nurturing all talent and never letting a stylist leave the salon without me meeting them and telling them our current position. Our business is fast paced and you never know when you will need a stylist on the fly! So even is she is busy, you meeting her and putting a resume in her hand will only a take a minute. When the manager comes to you, stretch your arm out and shake her hand correctly. Introduce yourself, state your business, tell her you realize she is very busy and you appreciate her taking a moment for you. From my hiring experience, I will always take a few minutes to do a pre-interview to determine if the applicant is worth a real interview. I make this call based on her appearance, her demeanor, her personality. Anything related to skill I will gather during an interview and technical interview. I can usually tell quickly though if a stylist is a good fit for our team. So you can see now how all the preparation I showed you comes into play here. A lot of it will determine if you get past the handshake! Prepare correctly and you will easily make it to the office! Be ready to interview. 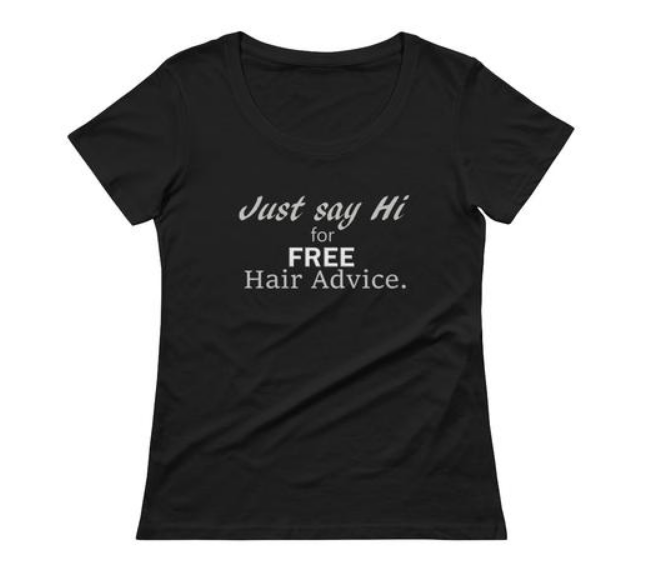 You may get lucky with a few that have the time to talk to you and have the immediate need for a stylist. You are a licensed professional hair stylist. Salons NEED you and your strengths. You have a uniqueness that will help a salon make more income. I know you need them but they definitely need you as well. You are NOT bugging a manager! She wants employees that WANT to work for her salon By calling her back you are proving that you are very interested. This is a good thing! So don't see it as a negative or be scared. You are a professional and so is she. If you just wait for them to come to you it may not happen. You have to be pro-active. Be somewhere quiet to make your call backs. Power Pose before making the call and it will go smoothly. Smile while you are talking and she will feel it. I like to think of this girl as the manager. It's ok to reach out to her. Remember, she needs good employees. She is happy to talk to you. You have some interviews set up now! You are doing great so far. And I know you are prepared for the questions you may be asked in an interview. You should be feeling very confident. Keep a positive attitude. You almost have a beauty career. Let's talk about a few factors that can put you behind the chair. Keep in mind during the interview that you want her to see how you will be an asset to the salon. The salon's needs should come first. Your needs are secondary. You are only beginning your beauty career. You have to gain experience before it can be all about you. This is common sense but SMILE! Sounds silly, doesn't it? You wouldn't believe how many applicants don't smile. And if they won't smile at me when they want a job I don't believe they will smile at our clients. Shake the managers hand in a firm, professional manner. Let her do the talking in the beginning. She will lead the interview. Answer her questions in a positive fashion. Stay away from anything negative. Don't ramble. Try to make a personal connection. Look around her office for anything you can comment on. See a picture of her kids? "Oh, what beautiful children you have!" Is there an award on the wall? Ask about it. People like the opportunity to brag. It relaxes you and helps you make a connection. People don't realize it, but we are attracted to people who act like us! You can make this work for you and she won't even realize it. We also like people who look like us. AND we like people who like us. So if you can give any cue to an interviewer that you like her or respect her, she will most likely reciprocate the feeling. And darling, if she likes you, well, you are closing in on that chair. You almost have a Beauty Career! You want to seal the deal now. You have given the manager everything she needs to hire you. You made a great impression on her and if you followed the techniques, I promise you are ahead of other applicants! You won't get beauty career job offers from everyone but you never know what the future holds. Things can change fast in this industry. A salon may not have an opening this week but next week it may lose 2 stylists. Then the manager will be going through the file. Let's make sure that you are the first one that comes to mind. Pull out those Thank You cards you bought when you got your notebook. Write a Thank You note to every manager you spoke to. Even if you didn't get an interview, write a note to her thanking her for considering you for any future opening. Only make a note for managers you actually met. Hand deliver them to the salon with the manager's name on the envelope. It's ok to just drop it off with the receptionist. You know what might be a nice touch? Adding a small picture of yourself doing something interesting, like a 2 thumbs up with a big smile, or you doing a blow out. Can you see how this makes you really stand out from other stylists? You are interesting. You are smart and witty and creative. I want you on my team! Congratulations! You Have a Beauty Career! I've interviewed a lot of people. Honestly, most are disappointing. Managers are looking for a diamond in a sea of rocks. I've often joked that the hiring pool is very shallow. There may be a lot of stylists out there but not a lot of stars. Show a manager how bright you shine and she will invest in you! I sincerely hope you found this page helpful to get your beauty career started. Do me a biggie and hit a button below! Help me help other new professionals start their beauty career and pay it forward. Take me straight to the Top, Please!